With rising utility costs, energy savings are a major concern. Through a few simple steps, you can easily reduce your energy consumption. One of the most effective is regular maintenance of your heating and cooling equipment. Make sure to clean or replace filters monthly, clean warm-air registers, baseboard heaters and radiators, and check to see that drapes, furniture or carpets do not block your furnace and air conditioner. Call Advanced Heating & Cooling for professional annual service to keep your equipment clean, running more efficiently and lasting longer. Through seasonal check-ups your equipment will consume less energy, operate safely and provide cleaner, healthier air quality. When investing in a new furnace, be sure to research Annual Fuel Utilization Efficiency (AFUE) ratings. This rating signifies the seasonal average efficiency. While the national minimum is 78%, ENERGY STAR labeled models offer AFUE ratings of over 90%. A 90% AFUE for a gas furnace means an output of 90 BTUs of useful heat for 100 BTUs of Natural Gas input. For air conditioning, SEER (seasonal energy efficiency ratio) is the cooling output during an average cooling season divided by the total electric energy input. The allowable minimum by law is 13 for central air, but the Carrier Infinity Series offers up to 20 SEER. Consider the installation of a programmable thermostat. Programmable thermostats are ideal for people who are out of the house during set times throughout the week. With proper use of pre-programmed settings, a programmable thermostat will save you about $180 each year in energy costs. By turning your thermostat seven to ten degrees Fahrenheit from its normal temperature for eight hours a day, you’ll see a 10% savings per year on your utility bill. To guard against severe weather conditions, insulate walls, attics and crawl spaces. Close windows and doors close tightly, and seal cracks around ducts and overhead light fixtures. During warm seasons, open windows to optimize air quality and take advantage of a cool breeze. Close draperies against sunlight during the heat of the day during summer but open them in winter to take advantage of the sun’s heat. By running your ceiling fan in reverse during winter, you’ll push warm air from ceiling downward. 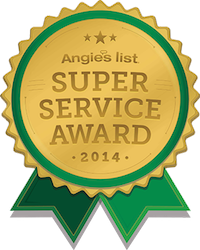 Ask the trained professionals from Advanced Heating & Cooling to inspect your ductwork for dirt, debris or leakage. You air ducts are one of the most important systems in your home. If they are poorly sealed or insulated, they are contributing to higher energy bills. Ducts that leak heated air into unheated spaces can add hundreds of dollars a year to your heating and cooling costs. Insulating ducts in unconditioned spaces is a cost-effective investment. If supply ducts are leaking, heated or cooled air can be forced out of unsealed joints and lost. Unconditioned air can also be drawn into return ducts through unsealed joints. If your heating or cooling equipment is over ten years old, consider new installation. With today’s standards for energy efficiency, a new system will pay for itself in energy savings. Advanced Heating & Cooling offers a wide range of heating and cooling, Energy Star rated options for all of your HVAC solutions.